I LOVE fall. And I love all things pumpkin. But many store bought pumpkin products are very sugary and full of chemicals. I still wanted to enjoy pumpkin flavored drinks, so I decided to make my own syrup. 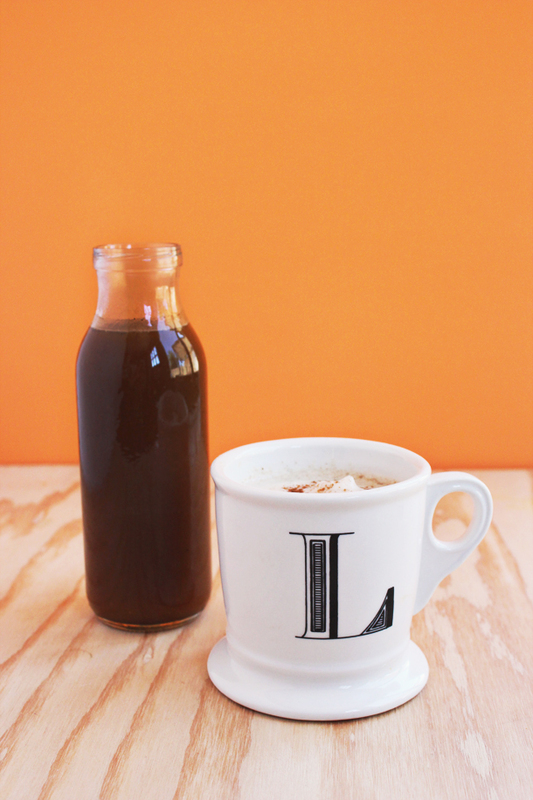 Homemade latte and coffee syrups are SO easy to make! In about 10 minutes, you can make your own pumpkin spice syrup! I think the best part of pumpkin spice lattes is the warm, fuzzy feelings I get when drinking them. They taste like fall and the holidays. My moms pumpkin pie on Thanksgiving is one of my desserts ever, so I used her recipe to help create my pumpkin spice syrup. She adds nutmeg to her pumpkin pie, but not all recipes do. 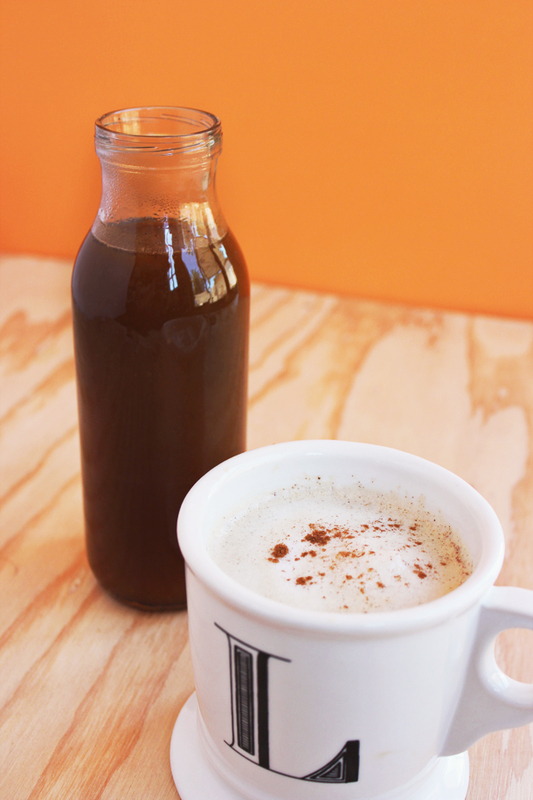 Feel free to find your favorite pumpkin recipe and adapt the spices, so your latte can taste all warm and fuzzy too! Add all the ingredients into a pot and warm over medium heat. Whisk ingredients together and heat until all the sugar has dissolved. Don't let the pot boil, just warm long enough to dissolve the sugar. 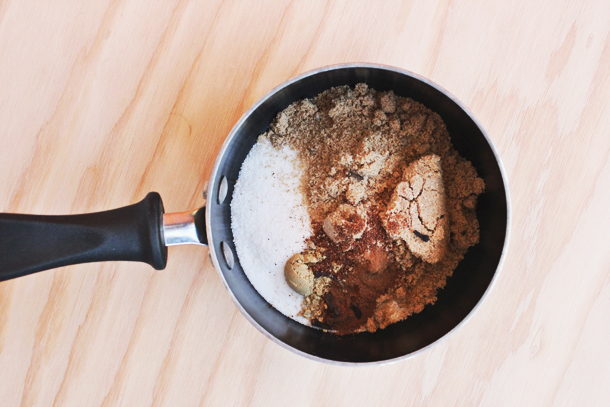 When it's all mixing together, pour over mesh strainer or slotted spoon into your container. The amount of pumpkin in this recipe makes the syrup a little thick. 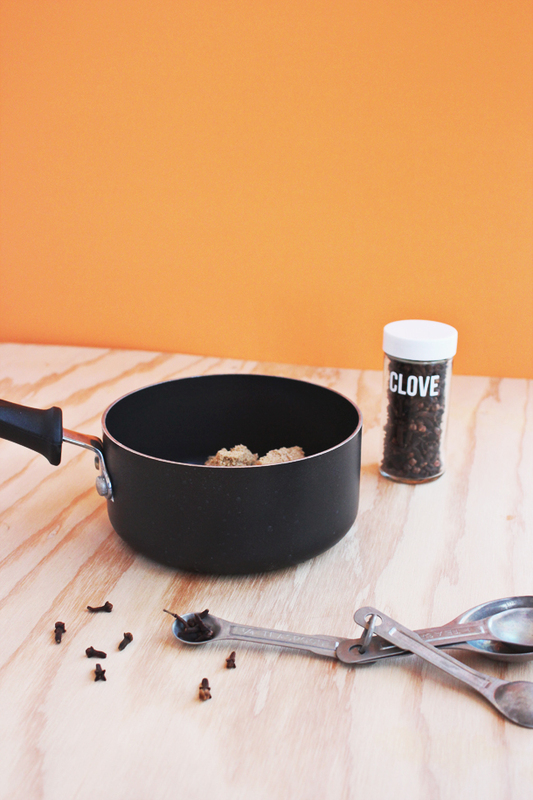 It was hard to use a strainer, so I just used a slotted spoon for catching the cloves. 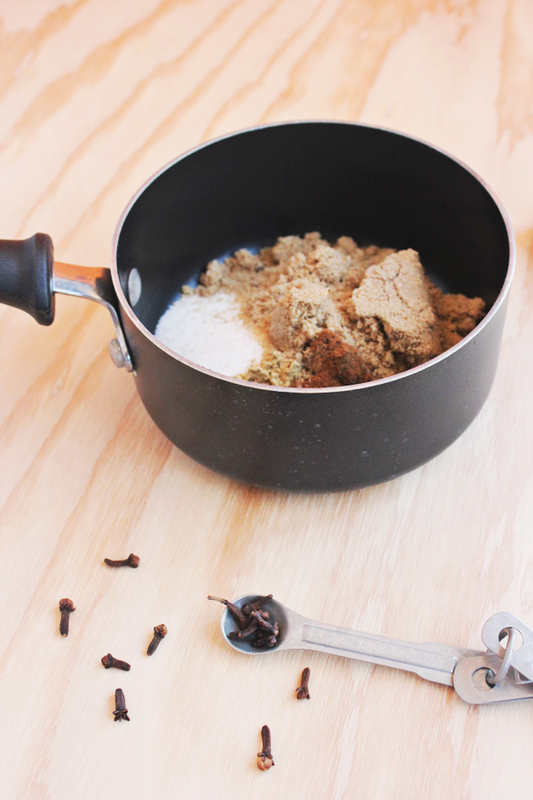 Once you've removed the cloves (and fresh ginger or cinnamon sticks, if you used them), your syrup is ready! Store your syrup in the refrigerator for a couple weeks. It will separate between uses, so give it a good shake before each drink. This syrup is warm and spicy with rich pumpkin flavor. It tastes great in lattes and coffee drinks. If you're not ready to switch to hot drinks just yet, this blends well in iced coffee too. Not a coffee fan? Try adding to black or chai tea!